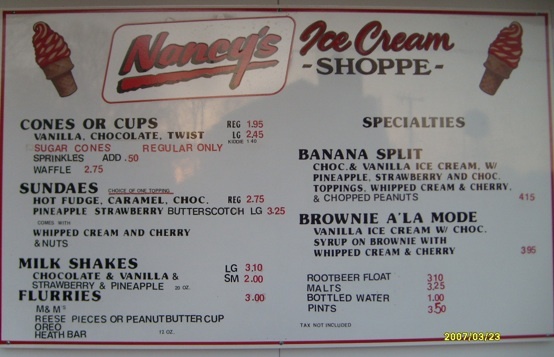 Across from Washington Avenue Park is Nancys Ice Cream Shop. The closest Trolley stop is just down the sidewalk at the entrance to the Riverboat. The Straughan family-owned and operated business is a wonderful addition to Colonial Beach, providing cool, refreshing treats like shakes, banana splits, malts, milkshakes, cones, sno-cones and more! They've got some picnic benches outside the shop under a nice big shade tree. 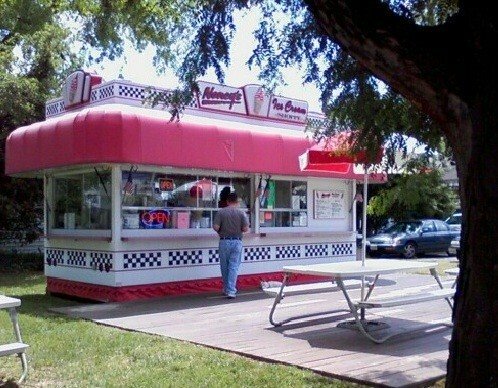 It's the perfect place to drop in for a cool treat on a hot summer day. I recently stopped by for an ice cream cone, and it was absolutely delicious. They usually open the shop at the beginning of April and it's open all spring and summer long. They have a Facebook group page. Please see the current menu at the shop for actual pricing.